Do you follow Kitty String﻿ on Instagram yet?! They are having a contest – ends April 24th and you could win 1,000 STRINGS! 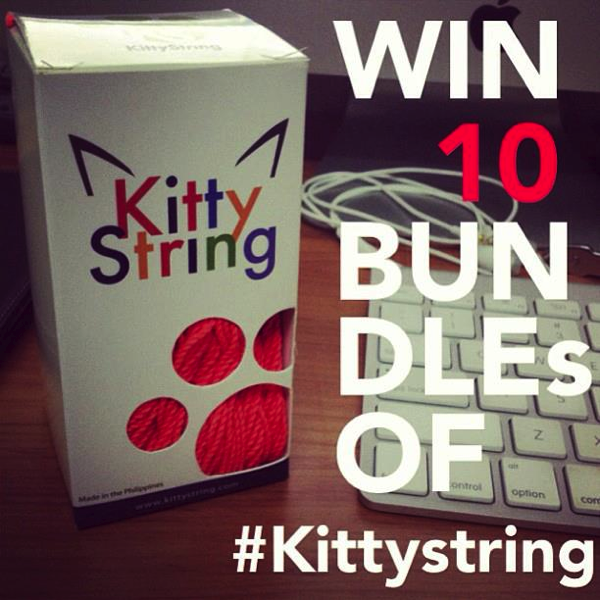 Just tag a picture related to Kitty String on instagram using hashtag #kittystring and you are entered to win! No limits on the number of pictures you can enter! FREE KITTY STRING SAMPLE PACKS in Orders over $50! Tall & Tall Fat Kitty String Now in 10 Packs! Kitty String XXL Restock! Now available in 10 packs!